Is this our chance to jump in USD/JPY’s strong uptrend? It looks like the pair is starting to pull back as it stopped short of hitting the 88.50 minor psychological level and retraced to 87.50. Although it appears to be finding support at the 38.2% Fib, stochastic hasn’t quite reached the oversold zone yet, which suggests that USD/JPY could still dip lower. 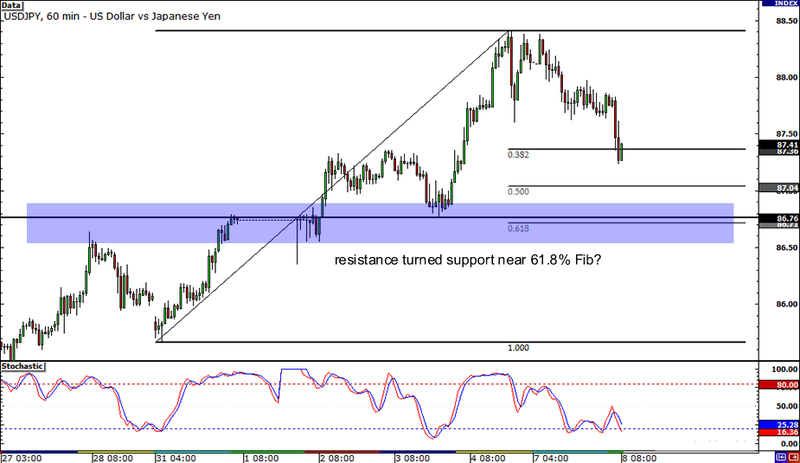 The pair could retrace until the 61.8% Fibonacci level, which is right in line with a resistance turned support area. Now here’s a setup that Happy Pip might want to take this week! 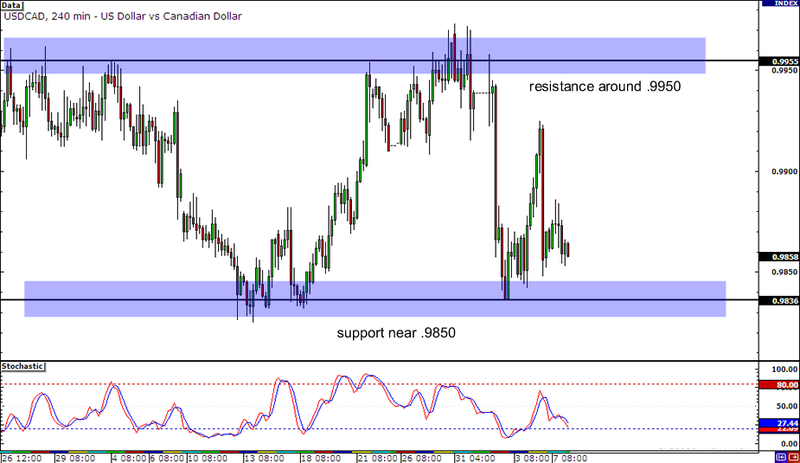 USD/CAD is still inside a 100-pip range, with support near .9850 and resistance close to .9950. The pair just bounced off the bottom of the range last week but appears ready to test it again as stochastic is pointing down. If the support around .9840 holds, the pair could bounce right back up to the top of the range. Higher lows and lower highs… Why, that’s a symmetrical triangle right there! 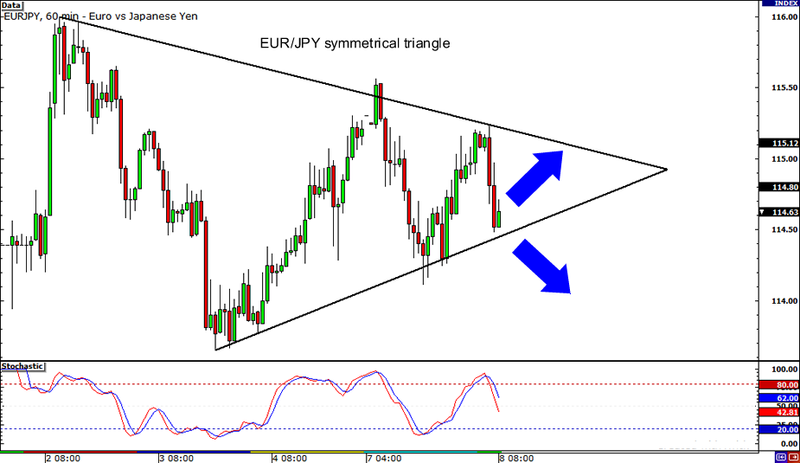 This chart pattern just formed on EUR/JPY’s 1-hour time frame and it looks like the pair could go either way. EUR/JPY could find support at the bottom of the triangle and bounce right back up to the top or it could make a downside breakout since stochastic is still headed south. Make sure you review our lesson on trading breakouts if you plan to trade this setup!